Blue haired girl licking icecream. 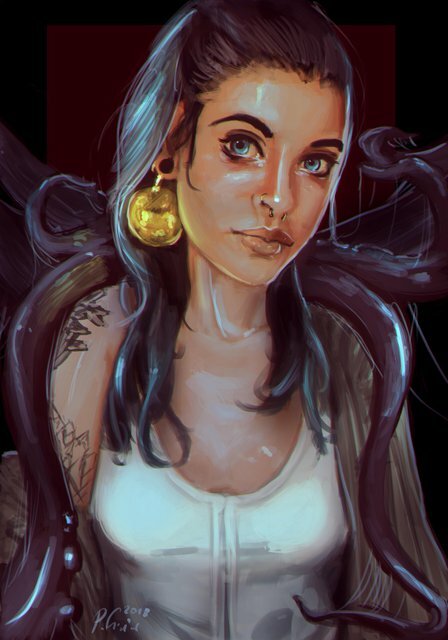 A girl with tentacles around her neck. 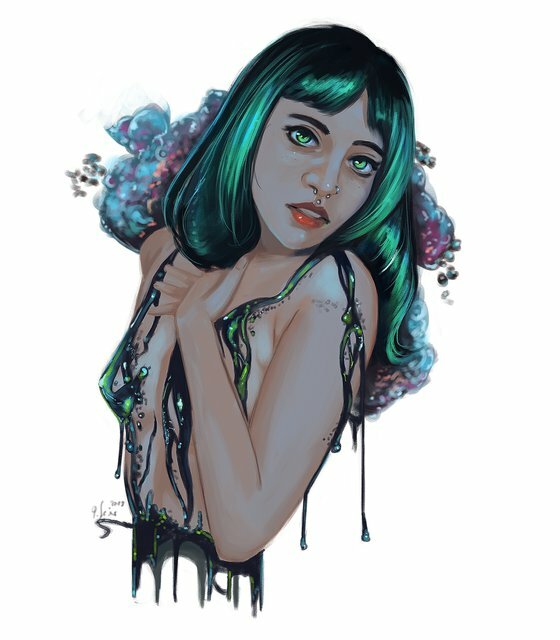 Blue haired girl looking out of a window during a rainy day.